Costco Wholesale Corp. customer sued the retailer on allegations that it knowingly sold frozen prawns that were the product of slave labor. The lawsuit, filed Wednesday in U.S. District Court in the Northern District of California, alleges that Costco was aware that the prawns it purchased from its Southeast Asian producers came from a supply chain dependent on human trafficking and other illegal slave labor abuses. The suit, which seeks class-action status, named seafood producers Charoen Pokphand Foods Public Co. in Thailand and C.P. Food Products Inc. in Maryland as defendants. Based on claims of unfair competition and fraudulent practices, the lawsuit seeks a court order stopping Costco from selling prawns without a label describing its “tainted” supply chain and from buying, distributing and selling products they know or suspect to be derived from slave labor or human trafficking. Costco does not notify customers that the frozen shrimp is derived from slave labor, the suit alleges, despite a supplier code of conduct that prohibits human rights abuses in the retailer’s supply chain. Costco said allegations about issues in the Thai seafood industry have been “well publicized” for more than a year. 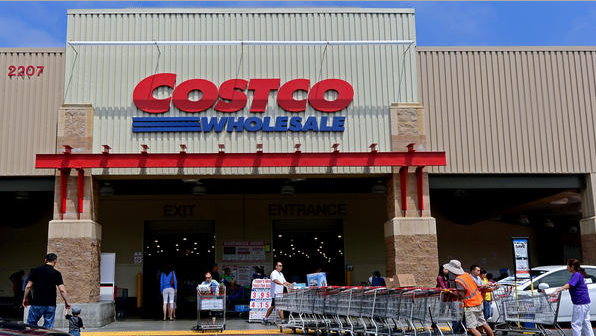 “Costco Wholesale has been working with and will continue to work with various stakeholders (including the Thai government, other retailers and Thai industry) to address the issues that have surfaced,” the company said. The Issaquah, Wash., company said customers can return any Costco purchase they are dissatisfied with for a full refund. The lawsuit comes a year after the Guardian newspaper published an article revealing that slave labor in Asia is used to produce seafood sold by major U.S. and European retailers. The court filing also credited non-governmental organizations, such as the London-based Environmental Justice Foundation, with documenting the issue. Plaintiff Monica Sud, a California resident who has purchased farmed prawns from Costco, is being represented by three California law firms — Cotchett, Pitre & McCarthy LLP, Howard Law Firm and Jenkins, Mulligan & Gabriel LLP. “The general response we’ve gotten is if people had known the shrimp products were tainted by slave labor, they never would have bought them,” said Niall McCarthy, an attorney for the plaintiff.